First and foremost I would like to go over the title's monetization since there have been a few changes from the original. It's still a free-to-play release, which means anyone with a compatible device can download the game and play it. But of course very little in this world is actually free, so you will have to contend with advertisements and in-app purchases that range up to $4.99 per item. The key difference from the original is that this sequel contains IAPs. These are fortunately only used for purchasing new cars and stages. Rest assured that all of these items can also be bought with the in-game currency, so no shenanigans are going on here as you can unlock everything just by playing. The advertisements, on the other hand, can be annoying. There is a fullscreen ad that pops up every so often in between your play sessions, and there is also a banner ad that displays at the top of the screen after every match. 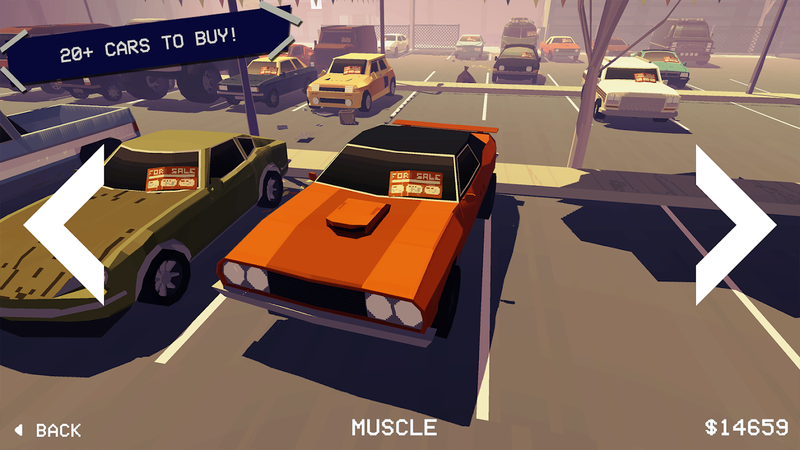 Luckily if you happen to purchase a car or stage through an IAP, these ads are removed. So for as little as $0.99 you can get rid of the most intrusive advertisements. There are also optional ads you can watch after you die for the benefit of one extra life. These stay out of your way unless you choose to watch them. As for the gameplay, well, it's just as great as ever. 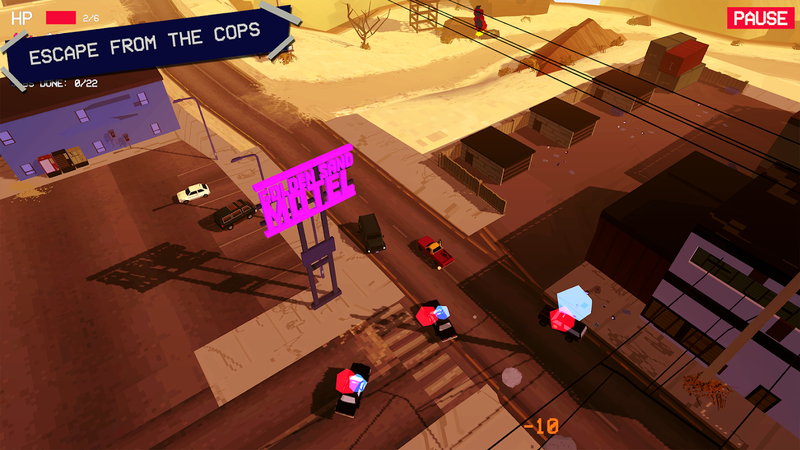 You still drive around for as long as you possibly can while avoiding cops, but you will also be tasked with picking up crews of criminals from randomly generated heist spots. Once you pick them up you have to drive them to a randomly generated drop-off point. 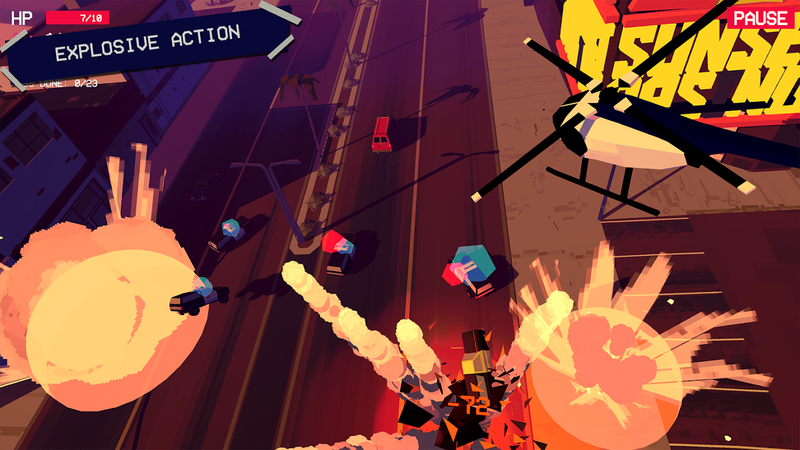 This goes on endlessly as you try to earn yourself a spot on the leaderboard, all while avoiding the cops chasing you down. So even though it is very similar to the original, the added pick up and drop off points make for a more exciting game. It's also clear that each stage is a lot bigger than what was offered in the first release. 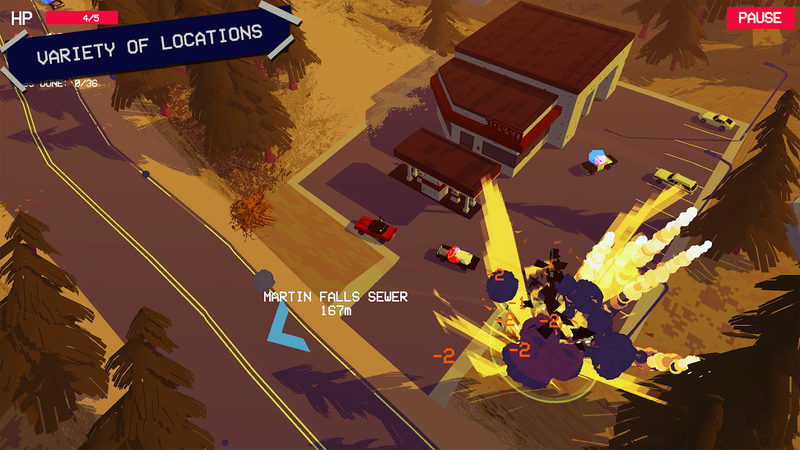 Plus the graphics have been completely overhauled, as they are no longer displayed in a low-poly style. This means it is a more demanding game, but so far I haven't noticed any framerate issues on my GS8+, OP5T, or Shield TV. Now, I was able to push PAKO 2 to my Shield TV successfully, but a third party launcher such as Sideload Launcher was required to access it once it was installed. Surprisingly the Shield controller works perfectly. So if you want to play this on your Shield TV, you can, but only after jumping through a few small hoops. 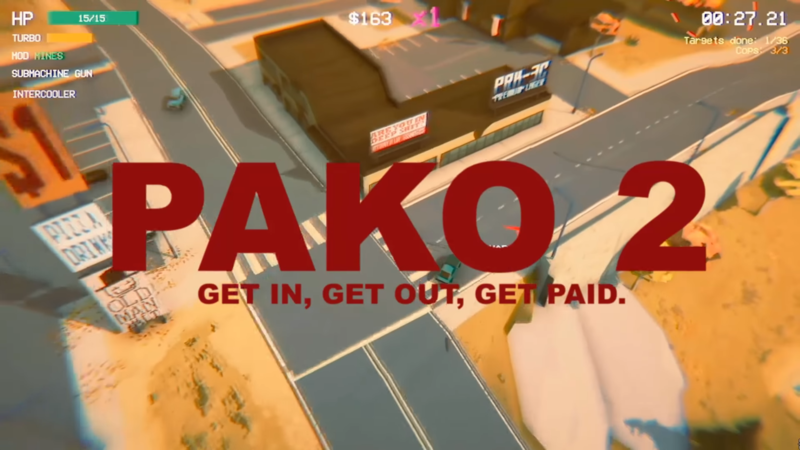 PAKO 2 is an exceptional car chase simulator and an impressive sequel that earns its praise through fantastic gameplay and delightfully large stages. 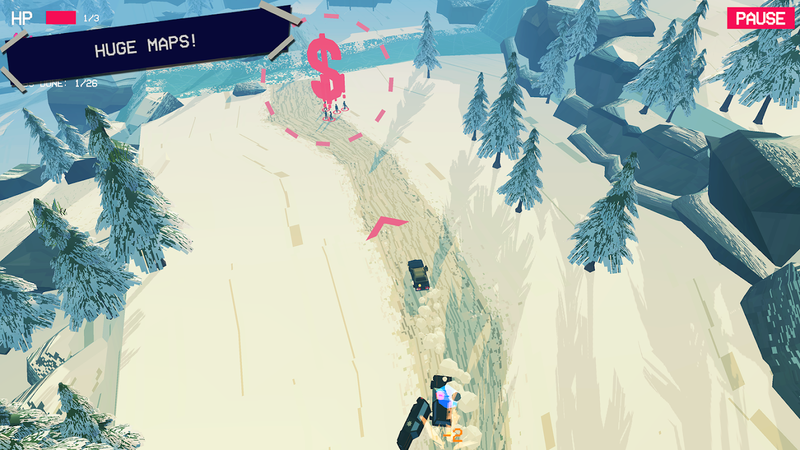 The core mechanic of driving as long as possible in order to earn a spot on the top of the leaderboard is still here, but now you have a few new tasks on hand that add to the challenge. 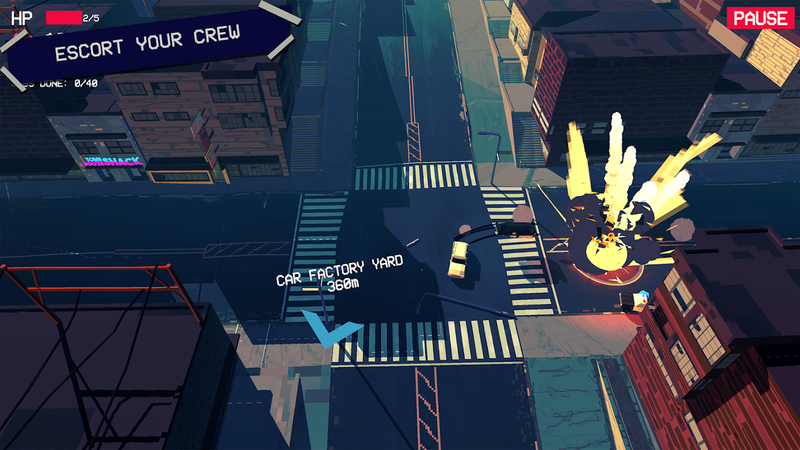 The first PAKO was a fun little time waster, and PAKO 2 takes that fun and builds upon it without losing any of the original charm. As far as sequels go, this one is outstanding, and it shouldn't be missed.